In this English lesson you can download our present perfect simple pdf which explains the Present Perfect (simple). Let’s learn how to form and use the present perfect simple tense! Sara and Jeanne collect their things. It has been a pleasant afternoon but now they are leaving. Peter gives a kiss to Sara and agrees to take her out on Tuesday. Peter shakes Jeanne’ hand and they say goodbye to each other. Peter has had a nice time. Now he needs to catch up on some work. He has landed a new contract with a company. He hasn’t had a moment to look at it. The company had contacted him three months ago. but they have recontacted him this week to give the go-ahead. He goes into his study. He had been trying for nearly a year to land the contract. It will oblige Peter to take on another employee. When he started the agency three years ago it was much easier. Today, there is more competition and it is difficult to find good staff. He has published an advert. He consults his email to see if he has had any candidates apply. to have a nice time. She has lost her bag. Have you ever been to Japan before? Has she already tasted your cottage pie? Man has built the Great Pyramids. He has become more confident lately. We have become more frugal over the last few years. Your English has improved since last time we met. Our puppy has grown a lot in the past six months. I have watched this movie several times. She has seen the doctor twice this month. We have had three exams so far. Since moving to this city, I have eaten here twice. I have lived in Spain for ten years. I have known him for five years. He has been teaching English since 2017. I have had a cold for a week. I have just received news from them. It has just arrived through the post. She hasn’t given us any homework yet. We still have not received the parcel. I haven’t finished eating my lunch yet. I have already booked my flight. I have just spoken to him. I have been to the States several times before. I have never seen this film. I have not spoken with him lately. Up to now I have never wanted to travel there. I have not eaten there yet. How often have you practised this week? Be careful as this tense is sometimes confused with the past simple or simple past. Here is a quick review of the past simple tense! I was on holiday two weeks ago. Last month I moved house. They won all the matches last week. I last went there last year. I booked my flights yesterday. I went to the US last summer. Did you shake his hand? Yes, I shook his hand. Did he go to the study? Yes, he went to his study. Is he still trying to get in? No he has already got in. When did you start cooking? I started cooking an hour ago. Did you publish the advert? Yes, I published it yesterday. Have you had any responses yet? Not yet, I think it is a bit early. Have you caught up on your work? I am catching up on it now. Have you read today’s post? No, I haven’t had a moment to look at it. Lesson 35 recap with Julia. Download your present perfect simple pdf. A dialogue taken from a recent exam of the first certificate speaking. May 18, 2018 Comments Off on A dialogue taken from a recent exam of the first certificate speaking. 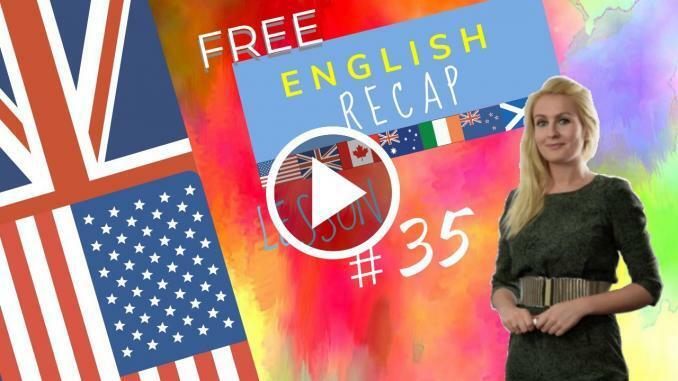 100 English Expressions – & Idioms – 1 to 25 – B2 English – How to Speak like a Native!